Travel businesses are run online today. Whatever services you need you can buy over the Internet. There are millions of travel companies selling their stuff globally. And the market is continuously growing. There are equal opportunities for new entrants also. You can start your travel business with minimal investment. 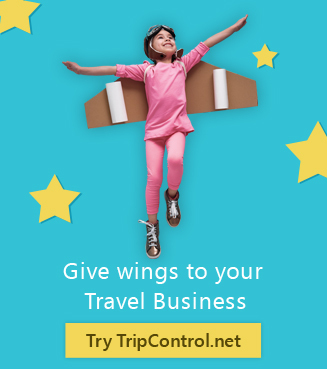 Very few things you will require are a small office, a PC and a Travel CRM like TripControl (www.TripControl.net) that will help you remain organised. And few employees as per the volume of the leads initially generated through your personal network. Here is a list of steps that you should take carefully to embark upon a successful venture. If you know somebody in the travel business, connect with him and get a fair idea about how the travel business run. Learn the nuances of business. You can also join the professional network, online forums, and message board. They will help you greatly. Choose a name for your company. You will be also required to get a website. Hence, select a few names and Google them to discover if they have been taken already. Take the note of top hits on each search. Consult a Chartered Accountant or tax consultant and get your company registered. You will be required to pay a nominal fee and carry out some paperwork. Travel market is crowded today. Travellers get confused in selecting an offer. In such a crowded market, you need to be a specialized travel service provider. It will increase your brand value. Travellers will more likely to approach for those services. The travel business is all about networking. Depending upon your network and connections, you can choose any of the following segments. Corporate travel agent: Has small to large scale companies as clients. Such travel agents cater to both business & personal travels needs of such companies’ employees. Leisure travel agent: Mostly works with individuals for the vacation or family vacations related tour plans. Call centre travel agents: Such players primarily invest good in the room inventory of popular destinations along with flight seat booking during pick seasons and attracts customer with best priced deals as they lack one to one personal touch. You need to identify your clients who you will be approaching to sell you plans. Once you identify your network and your comfort level to approach the specific persons of that network, you should make a list of such connects. Further, you should classify them as per their age group and income group considering the travel plan you want to sell them. It will make you approach them confidently with a concrete proposal in hand. You are most likely to get positive results. Connect with your friends, family, and acquaintances and inform them about your new business card. Don’t forget to leave your card with them. After meeting them, maintain regular touch with them. You can even ask for references. After identifying your market and customers, you should arrange resources for your office. Make list and get all the things including finances to start your business. You will also be required to carry out a few government formalities to start the new company. You can do the travel business independently or by joining a host agency. In the beginning, it is advisable to join a host agency as the host provides training and back-end support. The brand value of the host will make your business easier. Once you are settled in the business, you can become independent. To summarize, planning your every move, big or small is the key to starting a travel business. Remember, in the end even after careful organization, what sets you apart is what is the unique service or product that you offer to your travellers that the competitors can’t offer. Your hands-on involvement in daily tasks, dedication, hard work and well trained staff are also equally important.